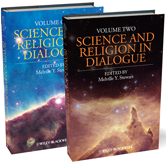 This collection of cutting edge thinking about science and religion shows how scientific and religious practices of inquiry can be viewed as logically compatible, complementary, and mutually supportive. Features submissions by world-leading scientists and philosophers Discusses a wide range of hotly debated issues, including Big Bang cosmology, evolution, intelligent design, dinosaurs and creation, general and special theories of relativity, dark energy, the Multiverse Hypothesis, and Super String Theory Includes articles on stem cell research and Bioethics by William Hurlbut, who served on President Bush's Bioethics Committee. Part 1 Has Science Really Destroyed Its Own Religious Roots?